My exams couldn’t come at the worst time because I really wanted to share with you a lot of halloween related stuff but I can’t…cause my exams are approaching. 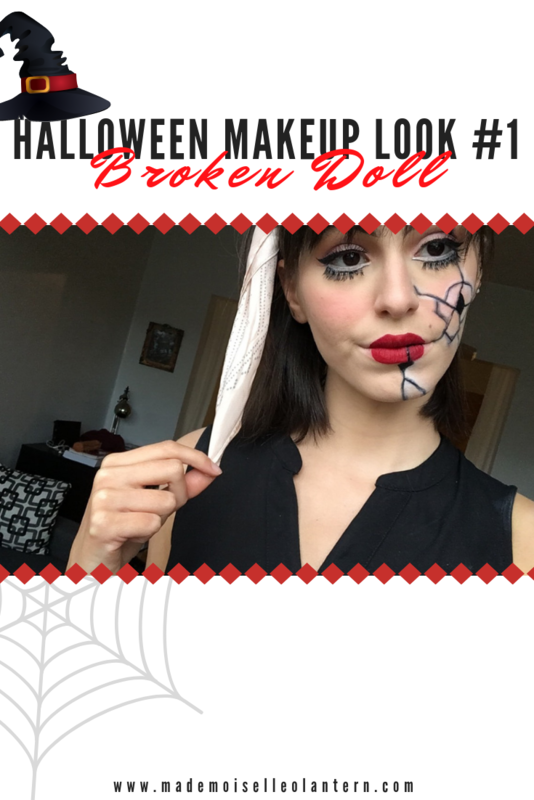 Anyways, I intend to share with you 3 halloween makeup looks and this is the first one: a broken porcelain doll. I had so much fun creating this one and I hope you like it as much as I do! Halloween is all about dressing up and scaring demons that come from the after life, yes it actually is, according to the Celtic myths and honestly, dolls are very creepy, I think demons will be very scared. 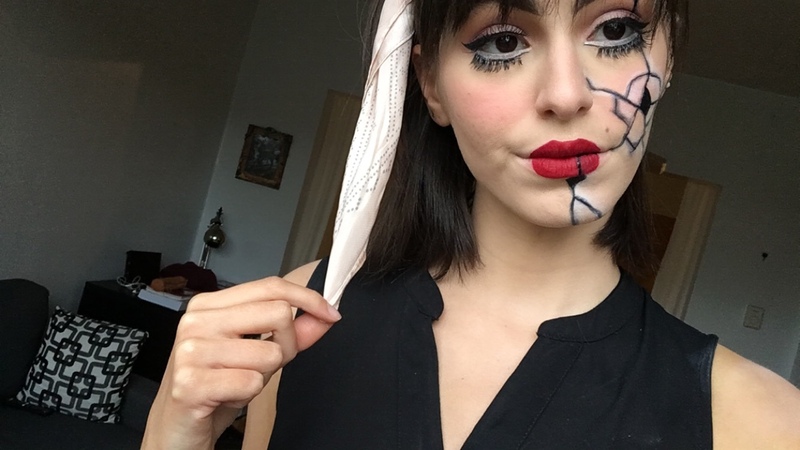 Any who, let’s get into this makeup look! 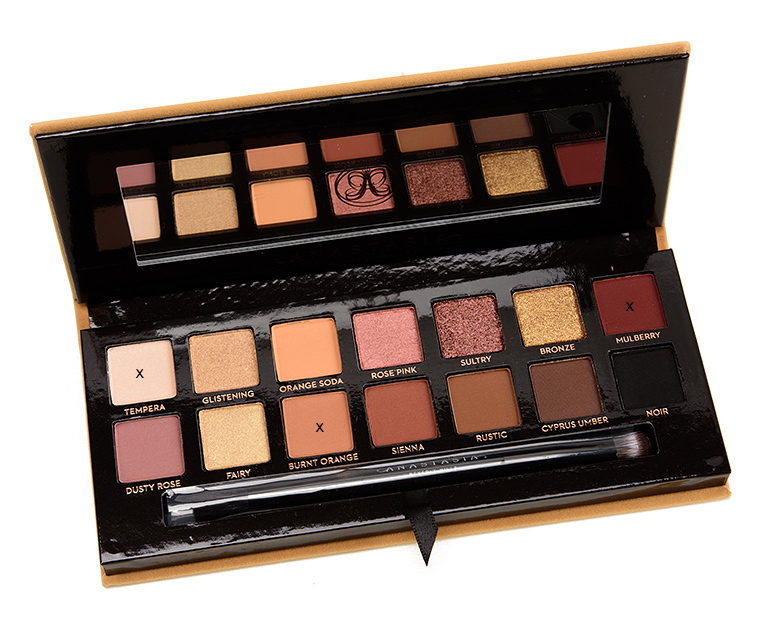 First, I apply “Burnt Orange” all over my crease. Then I darken my crease with “Mulberry” and afterwards, I cut my crease from the inner corner to the center of my lid with the shade “Tempera“. I create a wing line using my fly liner by Fenty Beauty. Setting Powder: Master Fix Setting Powder by Maybelline. 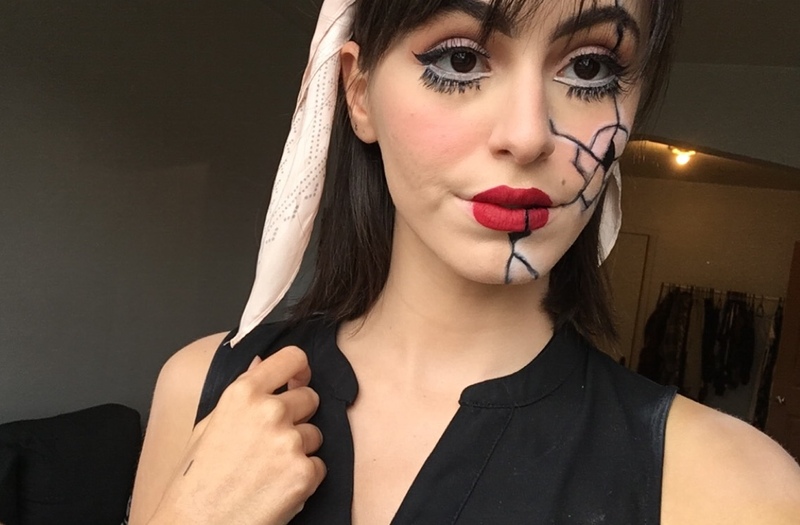 Crack on my face: [creating the crack on my face was actually pretty easy] I first go with a black pencil liner [highliner gel crayon in blacker by Marc Jacobs], I start by drawing a sort of diamond, then I create lines that come out of the diamond, I drew two lines coming out of the same edge. Afterwards, I create a line that links the lines I created before. I blend out the lines. Afterwards, I use the white eyeshadow to outline some parts of the scratch [my white liner was dry and I didn’t notice os I used eyeshadow]. When I am done doing that, I go over the black lines with black liquid liner and keep the lines very thin, to create dimension. “Extra Saucy” Matte Liquid Lipstick by Dose Of Colors. I only focus it in the center of my lips. The rest of my lips, I cover it with foundation to make it disappear. 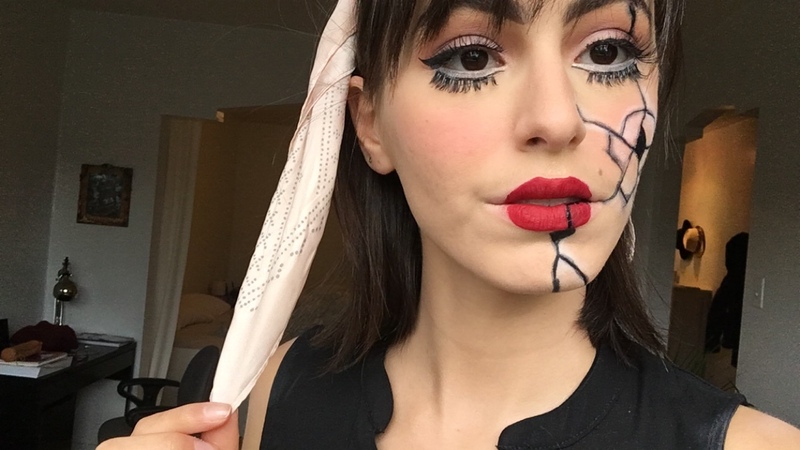 Don’t forget to tag me if you ever recreate this halloween makeup look, I would love to see your recreations! That’s it for today. I hope you enjoyed this post and if you did, don’t forget to give it a ‘like’ and to follow my blog [you can do that by email]. Lux lipsticks by Colourpop: Review and swatches! Super cute!! I’m not artistic at all! I love this look! This is so creative! I cannot wait to see your other makeup tutorials! What a fun and simple idea to try! Oh wow, that is incredible!! Love the detailing and the artistry. awww thank you!! and thanks, I hope I’ll do good!! Thank you very much!! I am really happy that you like the look!! Thank you so much for your kind comment and thanks, I hope I’ll do good on my exams!! This look is absolutely stunning! You look amazing! Love this make up look! It’s simple but perfect for a work or east party look. Although I never do anything for Halloween myself, I absolutely love Halloween themed content this time of year especially make up looks! This looks amazing, your eyes look incredible! ahh thank you so much!! I actually never dress up on halloween even though I LOVE IT! but I just never go out. I stay home, carve pumpkins and watch horror movies with my best friend. 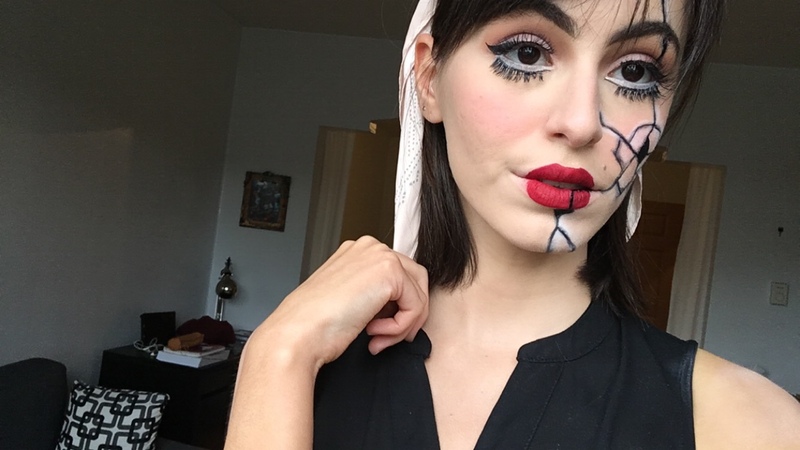 This is such a fun halloween look! This really is a such a cool and inspiring look! I love this look! The idea seems so simple, but it’s totally unique! I would never think to do something like this! Great job! aww thank you!! I am happy you like it! !